1. For good measure, to ensure that I tidy up the ends and not leave my glorious readership of 4 (one of whom is married to me) hanging on the identity of Mystery Man, the answer to the “Who Is It?” of my previous post is (as stated in the tag): Bill Turnbull, who apparently is also a busy beekeeper. If there’s one thing I cannot be too modest about, it is that I know my Asian food, from the many years living and growing up there, and a lot of travelling around the Continent. I may not be a good cook, but I love to eat, and I eat a lot (although that applies to any cuisine, but Asian foremost). This place is very good — quality and generous meat cuts, and an array of seasoning/sauces as you would find in the teppanyaki houses in Asia. The place would be especially fun for groups, given all that razzmatazz the chefs put into preparation and presentation. You get your show before your food, in other words. The website encourages Friday and Saturday night bookings to be done 3 weeks in advance. — If that gives you an indication how busy they get. So book in advance. Caveat: the place is not inexpensive. The sushi and noodle bar menu is pretty reasonable; the teppanyaki table could easily cost at least £25 per person for a starter and a main course. But for those special occasions or business meetings — good place. One more note — branches in Liverpool and Glasgow. 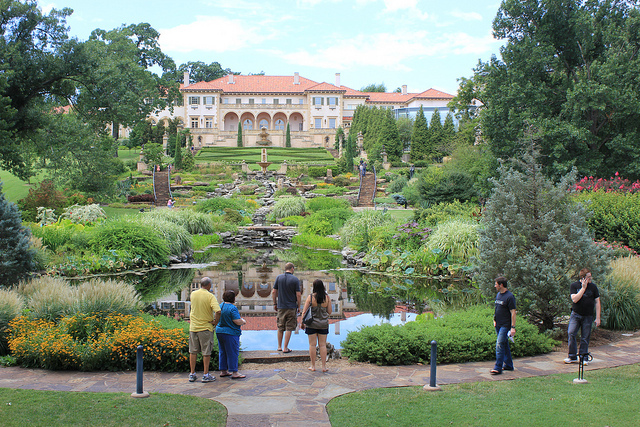 I was wondering if I could use any of your images you took at Philbrook in Tulsa. 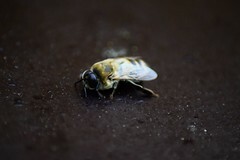 I’m the Art Director here and always in need of different perspectives and photos for our website. 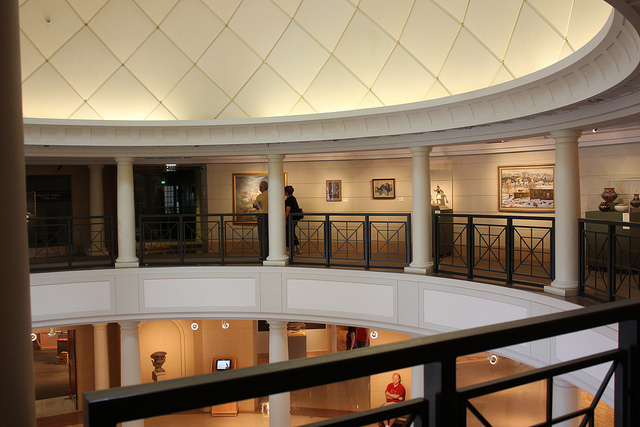 The Art Gallery inside. They have a pretty extensive First Nation and Native American Indian collection. 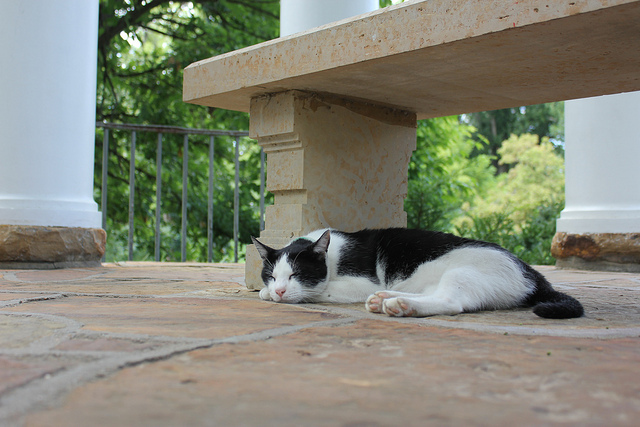 The resident cat who sleeps in the gazebo as if she owned it. Next Post Charge for Wifi? Why, fie! That is quite a compliment. Will you get a credit if your shots are used? HI Almost American : Yes, :) I was pleasantly surprised that the city was actually very pretty. Big oil money in the 1920s led to the rise of many beautiful art deco buildings in downtown Tulsa (one of the finest concentration in the country). http://www.tulsapreservationcommission.org/artdeco/buildings/. The city has its opera, ballet, symphony orchestras, and many theatres. I also enjoy the shopping when I drive through that area for work. 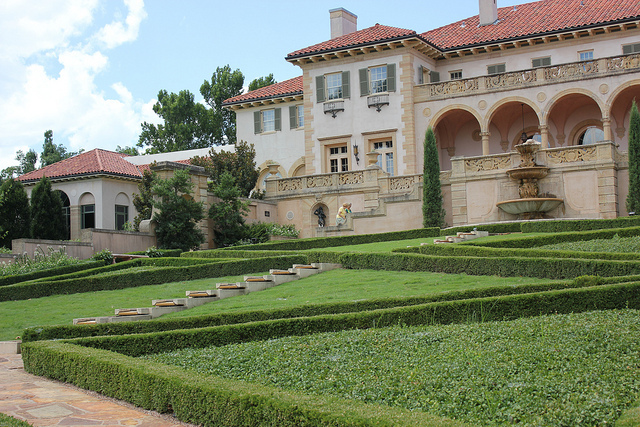 :) Btw, the Philbrook Mansion was originally owned by Waite Philips of the Philips, 66, Conoco oil. How did they found about your photos? Maybe you should ask for royalties? Psssstt… cat network has it that that cat actually owns that gazebo. Inherited it from a great-aunt who bought it with big cat-food money in the 1920s. I believe by commenting I am proving that your readership is more than 3 + hb.